There has been plenty of excitement this week with the election of our Holy Father Francis, but we have some exciting news of our own to share with y’all. 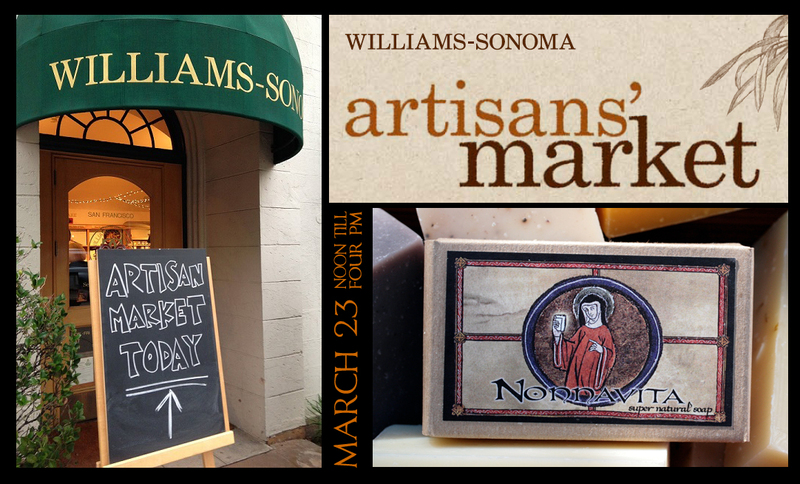 Mark your calendars because on March 23 from noon until four we will be offering Nonnavita soap at the Williams-Sonoma store in the Shops at La Cantera! This exciting opportunity is thanks to their Artisan Market event, which invites local vendors to share their wares with the public. This entry was posted in Nonnavita, Soap and tagged Artisan Market, Nonnavita, Shops at La Cantera, soap, Williams-Sonoma by texasnuns. Bookmark the permalink. I hope you come back to Atonement to sell again, too! I will be there!!! Very exciting. sisters will you be there too? Wish you were coming to our Williams-Sonoma in nearby Westport! However, best wishes for MANY happy sales of this outstanding product!! !